When deciding between a complete replacement of your roof versus a roof repair, sometimes the decision can be self-evident. If you’ve sprung a leak on an otherwise new looking roof, chances are having your roof repaired is the appropriate decision. However, if your roof looks old and worn, and it’s starting to give you problems, a total roof replacement may be the wiser decision. For residences, the five most common roofing material options are asphalt, metal, slate, tile, and wood. Each of these materials can be either repaired or replaced when damage occurs, but their individual characteristics and life expectancy will play a huge role in which is the most cost-effective route for you! Asphalt Shingles are easily the most popular roofing material choice in the nation. While cheap, dependable, and easy to install, asphalt shingles are also one of the least durable options on the market. Wood Roofing is not near as popular as it once was. Though its aesthetic appearance is second to none, wood roofing materials are more expensive than asphalt and require more maintenance than most other roofing materials. Metal Roofing is gaining popularity as a roofing material. Though older metal roofing was rightfully accused of being noisy during rain showers, subject to rust, and a poor insulator, today’s metal roofing provides homeowners with an excellent balance of affordability and durability. Tile Roofing is extremely popular in certain areas of the country. Very expensive and very durable, tile roofing is an investment that will not only make your home more attractive, but raise its value, as well. Slate Roofing is pretty much the alpha and omega of roofing material options. When it comes to durability, nothing can match it; its appearance isn’t for everyone, and whole it has been known to last for more than 100 years, its incredibly high price tag makes slate a material that most homeowners find cost-prohibitive. Some roofing material choices are better candidates for repair than others. With slate and tile roofs, replacement is almost never the best choice. Unless your slate or tile roof is more than 70 years old, there’s a good chance that even extensive repair will be a better investment than installing an entirely new roof. 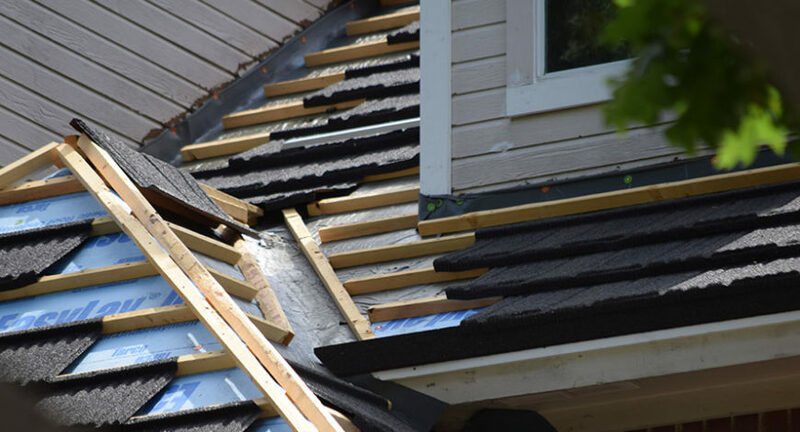 On the flipside, with a wood roof has fallen into disrepair or been damaged enough to require extensive work, the best option might not only be replacement, but replacement with a different type of material. Asphalt roofs may be the hardest decision yet, when your trying to decide between repair and total replacement. While it may be the easiest patch up, it can also age much more rapidly than other types of roofing materials. No matter what materials your roof is currently made of, it is always a good idea to have a professional inspect your roof for you and give you some options to consider. 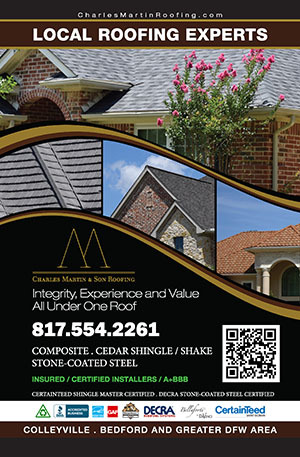 If you would like a FREE professional inspection of your roof, please contact Charles Martin & Son Roofing. We would be happy to send out a roofing tech to inspect your roof and give you a free quote.